According to Euromotor International, the sales of the electronic cigarettes are skyrocketing on a daily basis. Last year, sales had reached as high as £1.3bn (AUD 2bn). This is due to the fact that most manufacturers are trying to exploit every available avenue to have their products penetrate further into the market. Some time back, people were questioning the possibility of having designated vaping zones in areas such as airports. With the electronic cigarette ban edging closer each day, the biggest task that their manufacturers have is to prove that their products do not have any harmful effects on the user. For example, the British commission states that the effects of the e-juice used in the e-cigs are equally harmful to those of the traditional cigarette and that 60% of their packaging should be covered by health warnings. Electronic cigarettes are believed to be the best alternative for smokers. The reason for this is that they do not produce any of the poisonous gases the traditional cigarettes produce. A study in America revealed that around 440,000 deaths each year are caused by diseases related to the use of the traditional cigarette. The e-juice is therefore seen as the best replacement for the solid tobacco because it does not even burn. In spite of the increasing doubts and questions about the safety of the e-liquids, estimates show that there is an increase in their popularity and that there will be nearly 5 million users of the e-cigarettes by 2017. With the current advancement in technology, it has been made possible for people to buy e-liquids for electronic cigarettes online. It is a great relief among electronic cigarette smokers since it does not require visiting a dealer in person. If you decide to do online shopping, it will only require placing an order and having your e-liquids delivered to your address. 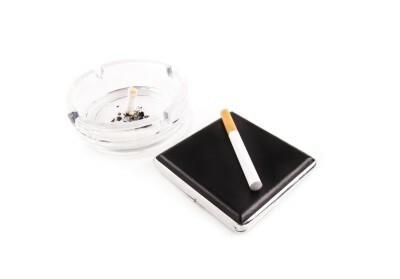 At e-ciggy.com products are usually shipped within one business day (usually on the same day). Currently, there are a lot of online e-liquid dealers in existence. It might turn out to be hard to choose the best dealer. Note that not all dealers rank highly. The idea is to go for one with a reputable image in all aspects. Always bear in mind that you want nothing short of quality services from online dealers, which is why you need to choose the best. Nicotine liquids sells eliquidmate.com – the international e-liquid shop. The great thing about buying e-liquids for electronic cigarettes online is that you can choose from a variety of flavours. We provide our customers with a great deal of flavours from which they can choose their favourite. This may not be the case in your local dealer’s shop. Some of the flavours that you will be privileged to choose from include Vanilla, Strawberry, Chocolate, Pineapple and others. Some people opt to buy e-liquids in bulk. This is certainly a great idea since it is economical. We charge low prices for e-liquids bought in bulk. However, before you choose to buy e-liquids for electronic cigarettes in bulk, it is best to first establish if you have storage facilities. If you do, then this could be the best idea for you. I really appreciate that your site has a blog I can ask questions and give and receive feedback with. I have been able to find answers to many of my questions through reading it. If only brick and mortar shops were as easy to work with... Based on this fact alone, I think buying them through e-ciggy is the way to go. I think the incredible popularity of the e-cigarettes (which looks like it could still grow further) is down to not only the marketing, but the growing realisation that these really are much better for you than tobacco, word of mouth by itself will probably tell you that, which would explain why a lot of people are using them. I love shopping for 'em online. Great deals and great variety. Way better than in a store.